Welcome to the April 1st, 2013 Leadership Development Carnival! I’ve never been a fan of practical jokes, so April fool’s Day is one of my least favorite days of the year. However, this year is different, because I get to host the April Carnival and bring you an outstanding collection of the “best of the best” in leadership development. All are recent posts are fresh picked within the last two weeks – and guaranteed to help you grow as a leader. There’s not a weed in the entire bunch! Before we get started, I wanted to share a little Carnival trivia with you. I started hosting this Carnival in July, 2008, my second year of blogging. The inaugural edition included over 30 submissions. Only one of them, Wally Bock from Three Star Leadership, and one of my early blogging mentors, is still a regular contributor and included in this month's edition (Mike Myatt and Mark Stelzner still show up now and then). I clicked on a few of the others, and most are no longer blogging, and a few are still around but I've not heard from in a while. Most of the bloggers included in today's Carnival are regular contributors and share the hosting duties every other month. I've gotten to know many of them, and I have to say, they are an outstanding community of professionals. Managing this Carnival gives me a reason to connect with each of them, keep up with their blogs, and discover some new ones each month. I've hope it's helped do the same for you, and you enjoy reading it every month as much as we enjoy hosting it for you. Jim Taggart from Changing Winds blog presents Big-Bang in Practice: Antifragility, Innovation and Leadership. Bernd Geropp from More Leadership presents Five Questions you should ask before holding a meeting! “Lots of managers spend 50 % of their time at work in meetings. Many meetings are just a waste of time. They are boring, they don’t serve a purpose. Bruce Lewin from Four Groups' Blog presents Why is Understanding People So Hard. Anne Perschel from Germane Insights presents Dear Leader: Verbal Feedback Not Working? Try Action Feedback Instead. Wendy Appel from The Enneagram Source presents I Choose Now. What does the Millennial generation seek in leadership development opportunities and do generational stereotypes get in the way? As part of her article research for the Huffington Post on “filling the leadership pipeline” Jennifer V. Miller of The People Equation interviewed what Gen Y professionals had to say in Gen Y and Leadership: Young Professionals Speak Up. Tanveer Naseer from Tanveer Naseer's blog presents "What Organizations Really Need To Succeed And Thrive". Bret Simmons from Positive Organizational Behavior presents How we enhance our organizational citizenship. “The evidence on what makes us more likely to be good citizens at work”. Nick McCormick from Joe and Wanda on Management presents Listen Up Managers. Don’t Forget to Change Your Oil. “Advice on listening from Greg Blencoe's book, The Supermanager”. 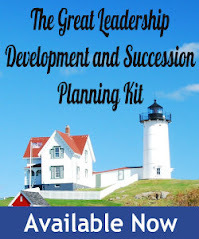 Next month's edition will be hosted by Karin Hurt on May 6th at her Let's Grow Leaders Blog.